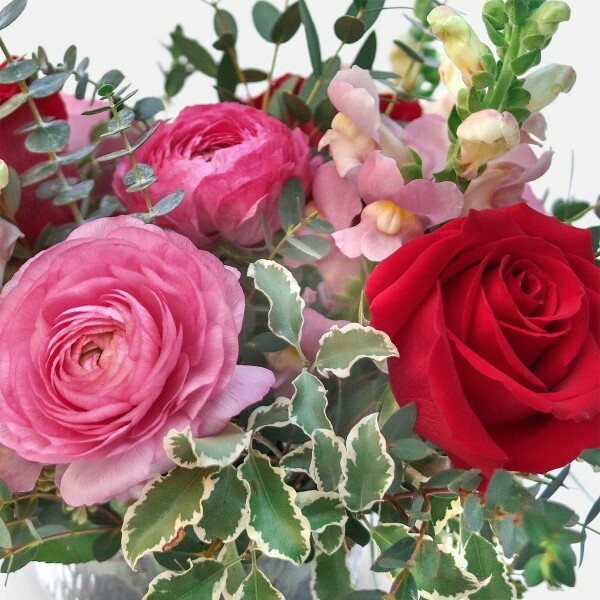 Share your love by sending this cheerful arrangement of roses, ranunculus and snapdragons to someone special! 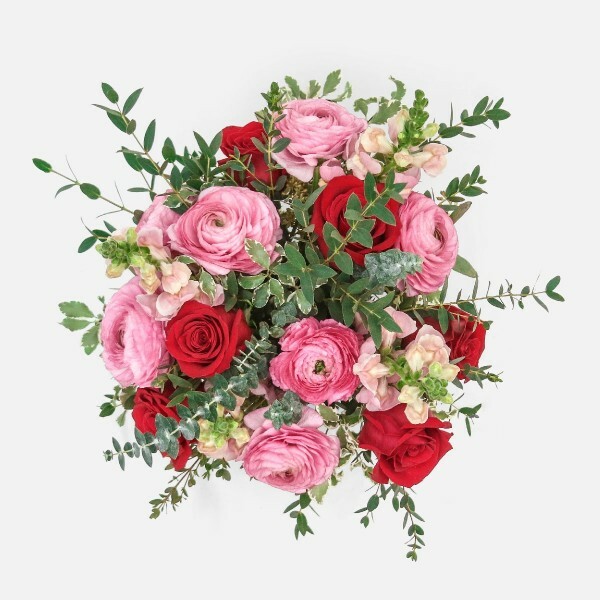 The Falling in Love floral arrangement features red roses, alongside delicate, pink ranunculus and pale-pink snapdragons. 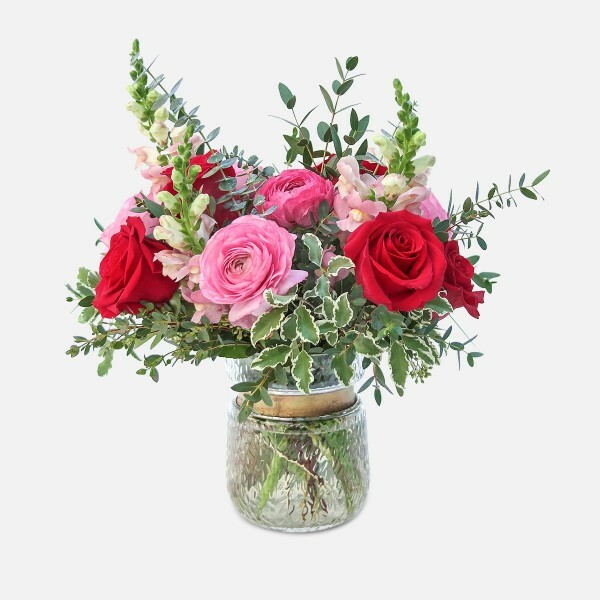 Fresh eucalyptus and other greens provide a pleasant fragrance and additional texture. 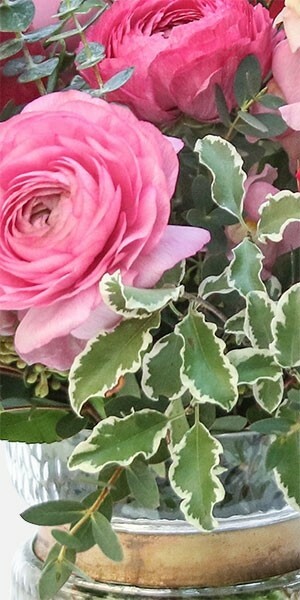 PlantShed, your local Manhattan florist, hand-delivers flowers to NYC, 7 days a week. Free Manhattan delivery is available for orders over $100 (per location).